Delivering a wave of flavors from sweet, to tart, to spicy, with a strong mustard bite throughout, Insane Chicken's Honey Mustard BBQ Sauce was a pleasure to eat—each bite restarting that progression of flavor. 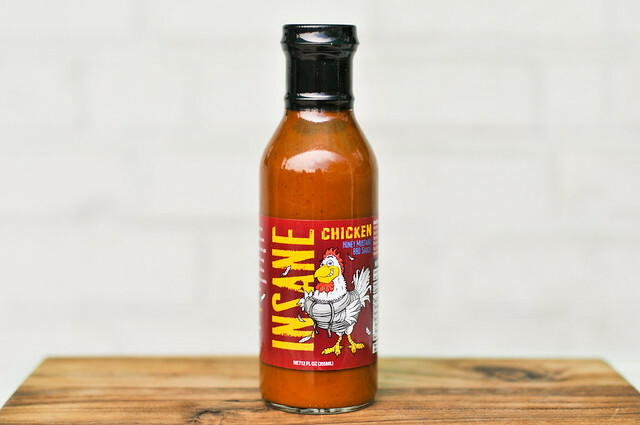 Try it out yourself by entering to win a bottle, plus 3 additional hot sauces, from Insane Chicken. This sauce was sent to me by Insane Chicken, a hot sauce company out of Norwell, MA started up by the husband and wife team of Chris and Alison McCarthy in 2003. 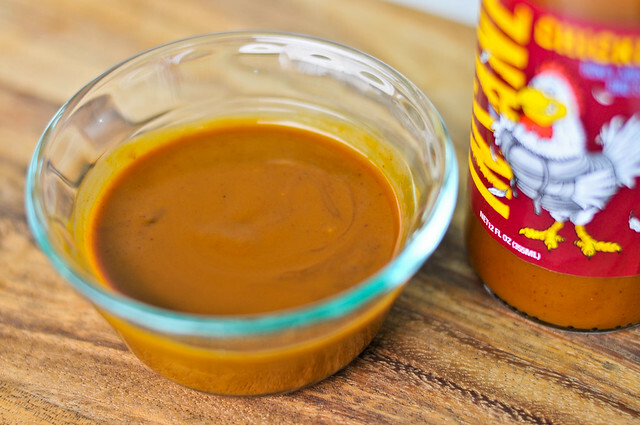 On top of selling a large variety of hot sauces and running a hot sauce of the month club, Insane chicken also produces a line of their own hot sauces—their Fire Roasted Habanero Hot Sauce won first place in the 2011 Scovie Awards—along with this Honey Mustard BBQ Sauce. You get what you expect from the name in the aroma department. 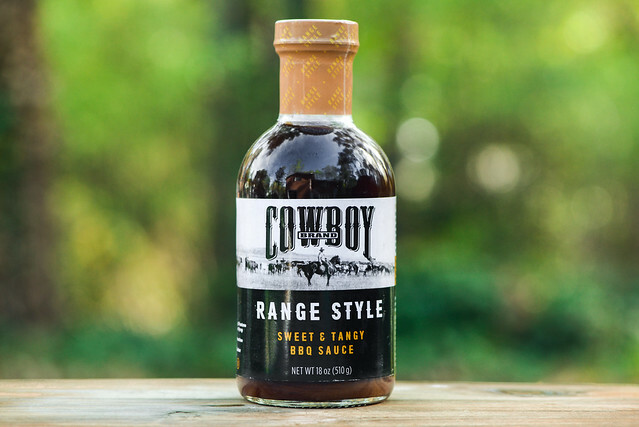 A sweet honey mustard is the dominent trait, but true to its barbecue sauce name, there's a smooth vinegar tanginess, along with hints of garlic and heat. This orangish-brown sauce is incredibly smooth with a few discernible spice specks throughout. It has a medium-thin consistency, flowing freely and smoothly off of a suspended spoon in a steady stream, ending with a few final drips, leaving a thin coating clinging to the silverware. 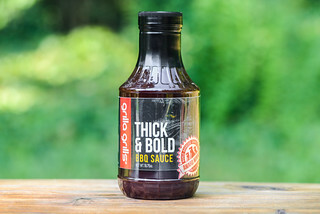 The sauce starts out with a strong mustard bite, with a faint sweetness tempering it just slightly. The honey amps for a mere moment before the vinegar starts to dominate and mix equally with the mustard. Finally, a wave of spice sinks in, leaving a mustardy heat lingering on the tongue. While the sauce coated the chicken nicely, it never fully baked in. Then a final cook over direct heat only produced a little caramelization, leaving an uneven brownish sauce layer. Maybe not the best looker of the chickens I've cooked, it did deliver a nice flavor. The cook didn't coax out much more sweetness, leaving mustard as the main flavor component. The wave of vinegar and spice was about the same as it was out of the jar, creating a chicken that had layers of flavor, making it a pleasure to start that progression over again with each bite. 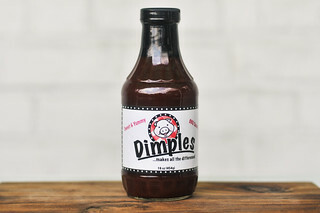 Despite some issues with appearance with cooking, this sauce had a pleasing progression of flavors that made it fun to keep trying over and over again, although not as addictive as The Salt Lick's Original Sauce. The strong mustard flavor would pair great with chicken, but especially well with pork. I can imagine using this as baste a few times during a long pulled pork cook, giving the bark a great sweet and spicy mustard bite. We're trying something new for the Meatwave and giving away a bottle of Insane Chicken Honey Mustard BBQ Sauce for you to try out yourself. 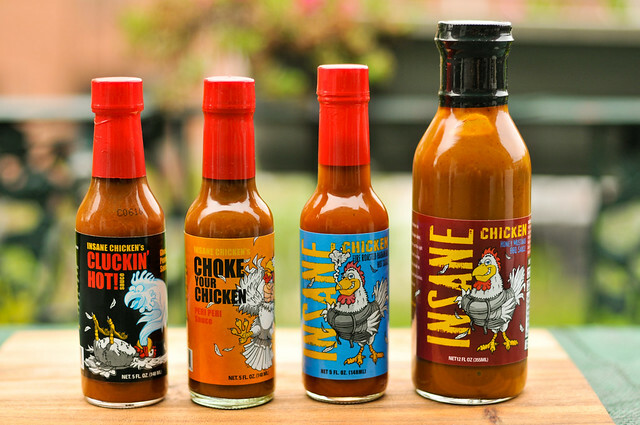 That's not all, the gracious folks at Insane Chicken have also thrown in three of their hot sauces as well—Cluckin' Hot! 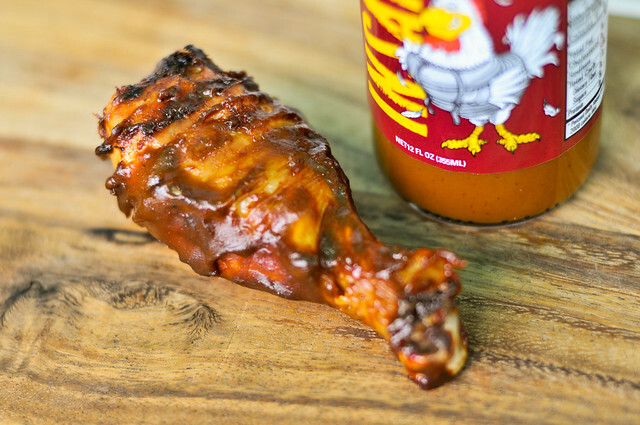 Sauce, Choke Your Chicken Peri Peri Sauce, and the award-wining Fire Roasted Habanero Hot Sauce. To enter the giveaway, comment on this post with which of the four sauces you're most looking forward to trying. Deadline for entries is 11:59pm on Wednesday May 5, 2012. Read the official rules for more details. One entry only per individual. Good luck! Its BBQ season I want to win a bottle of Insane Chicken Honey Mustard BBQ sauce. Pick Me Pick me! Love to try the Choke Your Chicken Peri Peri suace. Heard good things about it but have never had the chance to try it. The award-wining Fire Roasted Habanero Hot Sauce I would most look forward to! While I'd generally jump all over the hot sauces - I think I'd go for the honey mustard BBQ sauce - seems really interesting. I did some pulled pork in the crock pot (I know, I know, but it was winter!!) with a mustard sauce a few months ago and it was delicious. Would love to try this out! The fire roasted sounds great...but after reading this, you've got me at the honey mustard! did you give this away? @paul Yup, JZ was the lucky winner.